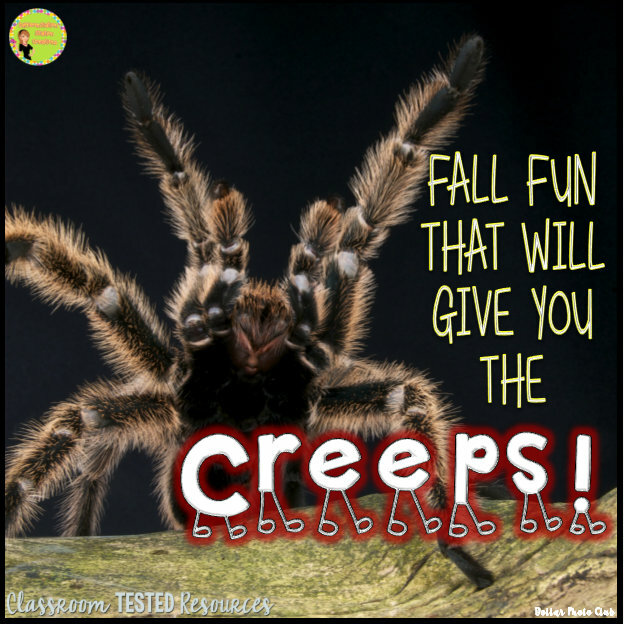 Fall Fun That Will Give You The Creeps! Fall is my favorite time of year. I love the changing leaves and the crisp air of fall. As the season starts to change, I start to anticipate one of my favorite holidays... Halloween! I love the creepiness that comes with Halloween. Bats and spiders are a great way to bring on the creepy shivers. They are fascinating, but still give you a little thrill of fear. Just enough to make things interesting. Here are a few fun activities that will bring some creepy fun into your classroom or home! 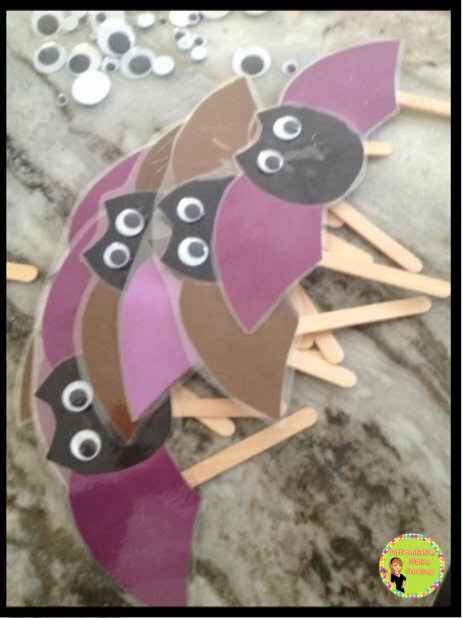 Make bat puppets with your kids. All you need is a pattern for a bat head and wings, googly eyes, and tongue depressors. I included a computer drawn bat pattern in the freebie below. I don't have a scanner, or I would have given you mine. 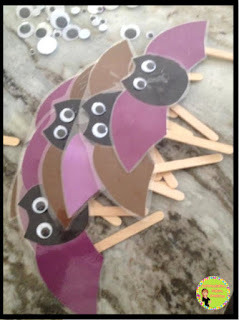 Kids will tape the tongue depressors on the back of each wing and they can make the bat "fly"! 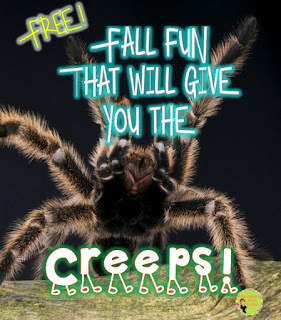 I wrote some fun spider and bat poems that you can use with your kids and included them in the freebie on this post. 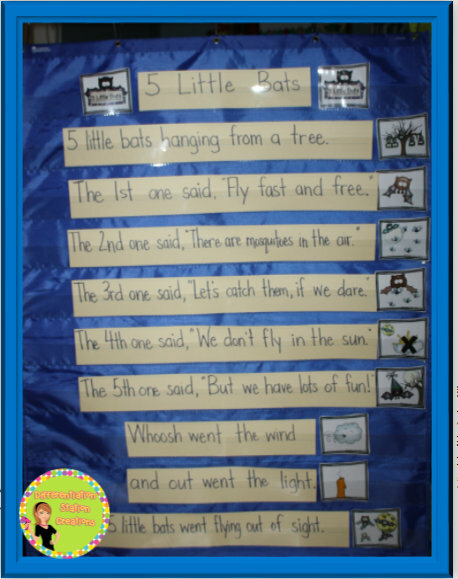 "Five Little Bats" is a poem written in the same format as "Five Little Pumpkins". 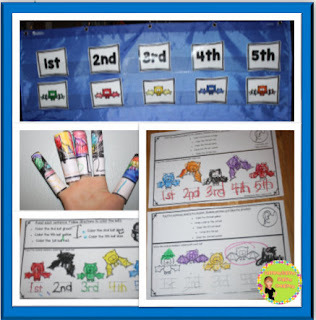 It is great for teaching ordinal numbers. You can use the bat puppets to have kids act out the poem. This allows them to really interact with the text and to rearrange themselves to put ordinal numbers in order. 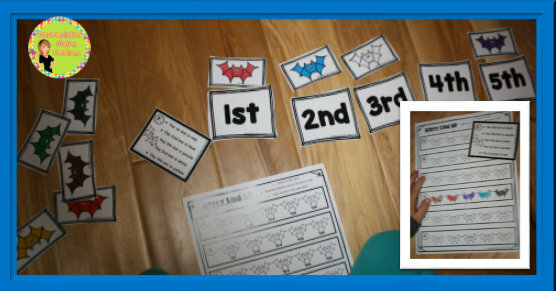 You can see more of the activities that I use with the poem "5 Little Bats" here. 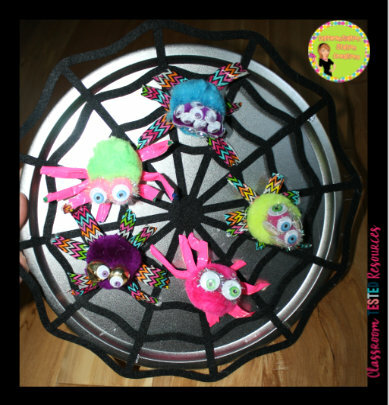 Another great manipulative to use with spiders is a magnetic spider web. 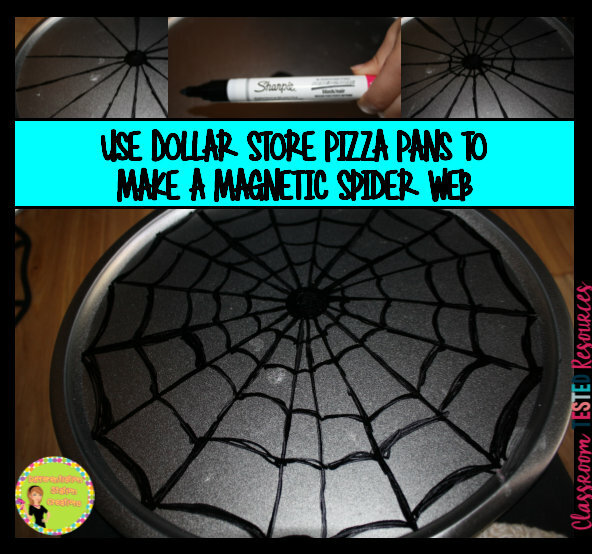 Use a pizza pan from the dollar store and a Sharpie paint pen to draw the web. You can create your own magnetic spiders, or use pictures of spiders with a magnet on the back. It's so much fun to use these manipulatives to act out the spider poems. I created a "Five Creepy Spiders" poem that is a remake of "Five Little Monkeys Jumping On the Bed". Kids love this! I shake the web, as we sing the song, to make the spiders "jump". A helper always loves to help a spider fall off and bump it's head. 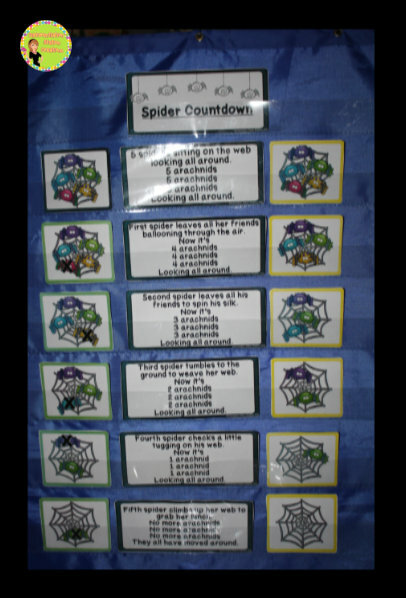 It's also great fun to use a ten frame to watch the number or spiders decrease throughout the poem. There is also a spider song called, "Spider Countdown". Sing this song to the tune of "B-I-N-G-O". I like this song, because it uses a lot of great spider vocabulary. As the spiders leave the web, they are doing all sorts of spider activities. It's fun and informative. I hope you found a few ideas that you can use with your kids! 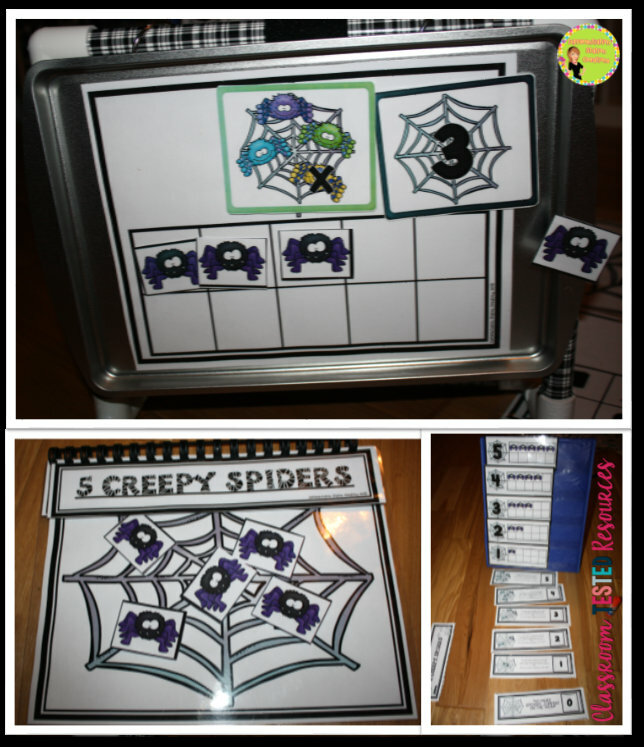 Don't forget to grab the freebie with spider and bat fun!